We discovered a way to make the quilted comfort of our beloved Q-Core even more compact and superlight with the insulated Q-Core SL. This superlight and super compact air pad comes in various widths and lengths as well as rectangular and mummy shapes. 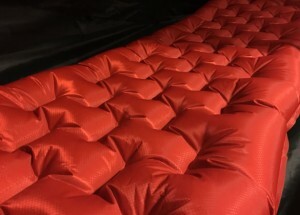 This is our lightest and most comfortable air pad available, utilizing the same technology as the Q-Core with Alternating I-beam Construction and X-Static synthetic insulation. The Q-Core SL is the innovative “Super Light” three-season variation of the popular insulated Q-Core pad, effectively balancing light-weight and high-performance making it the lightest and most comfortable air pad offering currently available from Big Agnes. It is available in both rectangular and mummy shapes, and many different lengths and widths to meet your need. Q-Core and Q-Core SL pads are specially designed to fit inside the integrated sleeping pad sleeve found on many of Big Agnes’ sleeping bags. The mummy-shaped pads are 20″ in width and are available in both 72″ or 78″ lengths. 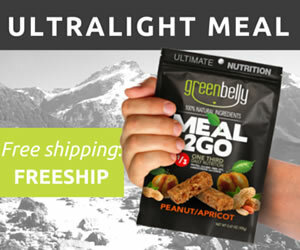 Without the squared-off corners, these pads are designed to help reduce weight and pack size. The regular-width rectangular pads are each 20″ wide and are available in 66″, 72″ and 78″ lengths. The wide-width model is 25″ wide and 78″ long, and only weighs a few more ounces than the smaller models. The model used in this review is the standard rectangular 20″ x 72″ pad, weighing a total of 20.7 ounces in the stuff sack, and 19.6 ounces without. 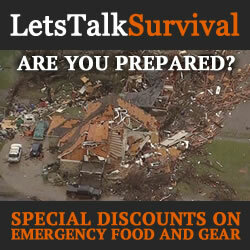 The Q-Core SL pads pack down small enough to fit into a nylon mesh stuff sack around 4.5″ in diameter and 10″ in length. From small to large, the Q-Core SL weighs somewhere between 16 and 23 ounces depending on the size of the pad. Each pad is individually inflated, thoroughly tested and are guaranteed against manufacturing or material defect. Each Q-Core SL is made from a durable nylon rip-stop material from top to bottom, textured to minimize noise and slippage, and quilted with an alternating I-Beam construction pattern for a smooth, stable, and ultra-comfortable sleeping platform. Much more effective than traditional inflatable sleeping pads that just have vertical baffles. The Q-Core pads are coated internally with a heat-reflective polyurethane coating for added durability and an X-Static synthetic insulation to enhance its thermodynamic, anti-microbial and anti-odor properties. This remarkable insulative technology provides the Q-Core SL with an estimated R-value of 4.5 giving a temperature rating down to 15°, perfect for a three-season sleep solution. It is important to note that the insulation in an air pad does not work like typical insulative layer that creates loft, because an air pad already has loft. The insulative fibers do nothing more than reduce the air currents inside the pad produced naturally by convection causing the pad to lose thermal efficiency. The slower these currents move through the pad, the more thermal efficiency the pad will have as a result. Matching the bag and pad temperature ratings will allow you to choose elements of your sleep system that will work optimally together. In colder temperatures, you can also add a closed cell foam pad for extra insulation. The center of the pad is extra thick for superior comfort, even for side-sleepers. At 3″ thick, the pad conforms to the body exceptionally well providing support where it is needed and helps to relieve some of the common pressure points like those located at the hips and shoulders while retaining its insulative properties. The outer edge of the pad has a larger 3.5″ thick air chamber that is designed to cradle you, keeping you centered on the pad. This helps tremendously in keeping the pad beneath you. The Q-Core SL has a durable two-piece plastic inflation valve and cap that helps to prevent leaks and inefficient inflation. Simply unscrew the cap to inflate and deflate the pad, and screw the cap closed to seal the valve. The cap does not come all the way off to prevent it from being lost. Inflating the Q-Core pads are not for the faint of heart. It takes quite a lot of breath to completely fill the baffles. It took about two minutes for me to completely fill the regular-sized pad. I’ve heard that it is best to utilize a pump to fill inflatable gear like air pads as opposed to your breath to prevent the introduction of bacteria where it can grow and fester. Big Agnes does have an ultra-portable air pump just for this purpose available for those who might prefer it. 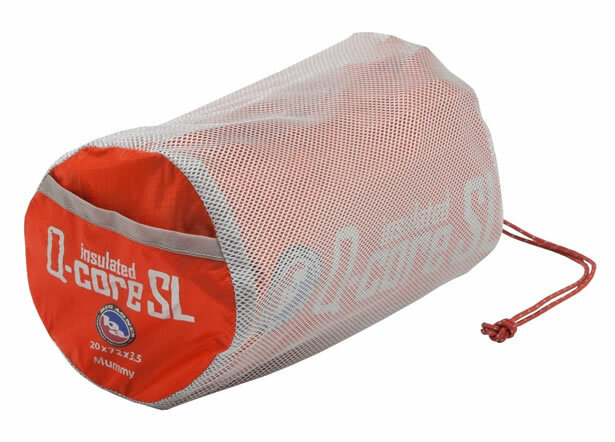 Each Q-Core SL comes neatly packed in a durable nylon mesh stuff sack that keeps the pad safe and secure, and includes a field repair kit tucked away in a small pocket located on the inside end of the stuff sack. As with most pads, for long term storage the manufacturer strongly recommends that you store the pad with the valve open and in an uncompressed state to allow any moisture inside the pad to dissipate and help to preserve the integrity of the construction and materials used. After spending quite a few nights sleeping on the Q-Core SL both on the ground and in a few different hammock systems, I can certainly attest to the high level of comfort and increased thermal efficiency provided by the pad. I was able to achieve a much more restful experience free of back, hip and shoulder pain than I would have experienced sleeping directly on the ground. Additionally, I did not experience any convection or drafting that would cause undue discomfort during my slumber. I did find that the air pad was much easier to use with a double-layer hammock that provides an integrated pocket for the pad than it was with a single-layer hammock where the pad could easily move around. Additionally, I found that deflating the pad slightly allowed the pad to follow the contour of the hammock more closely which resulted in a better and more comfortable experience. Sustainability is something everyone is talking about these days. To us, sustainability starts with our staff and our ability to maintain our small company in a mountain town like Steamboat Springs. We make camping gear and getting that gear out there into the places we love is one of our priorities. From here, we know we are in a good place to encourage others to do the same, to pay attention to the land we call our backyard, and to apply the lessons we learn there to our business sense.